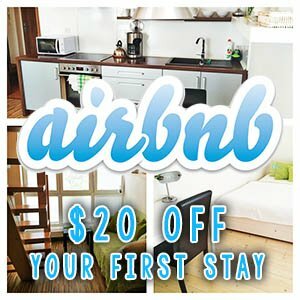 As part of a European road trip, we rented a car from AVIS in Munich so we could explore beautiful regions of Germany and Austria. 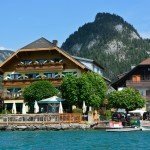 Our drive took us from the capital city of Bavaria to the tiny town of St. Gilgen (Austria) where we would spend the night before our journey to Hallstatt. 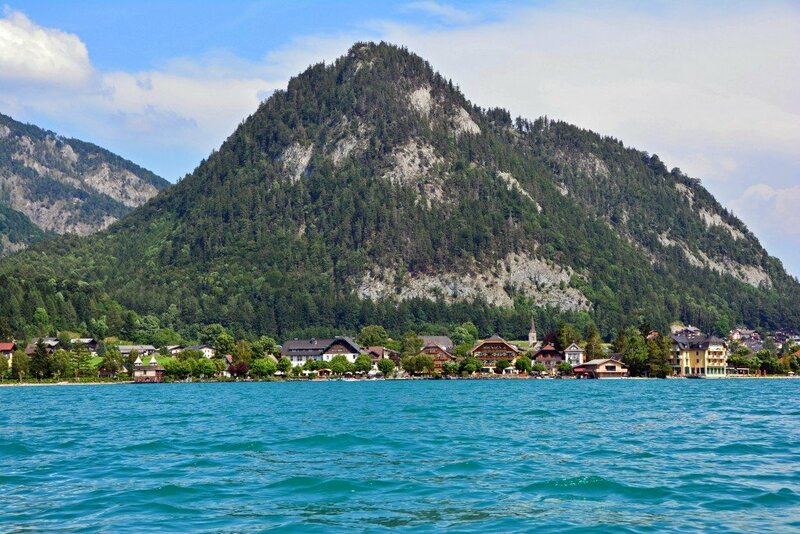 Some of our best travel memories come from unexpected discoveries like coming across the small town of Fuschl am See. 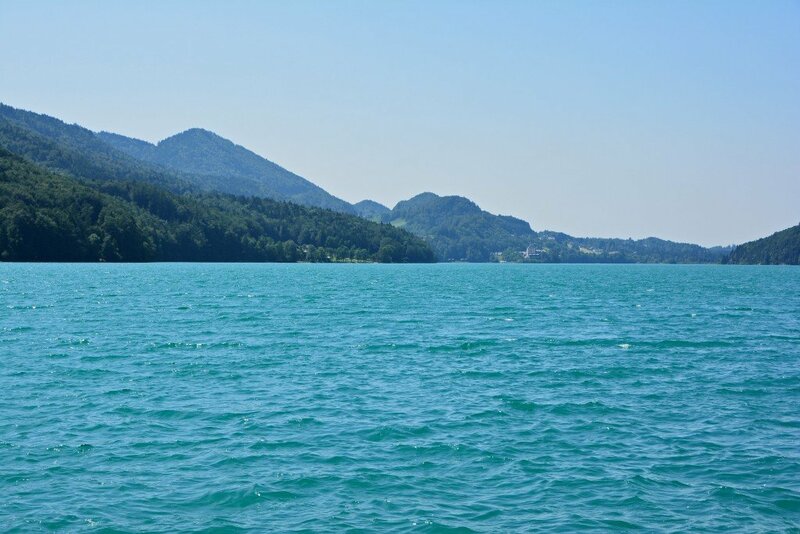 The vibrant turquoise waters of Lake Fuschl caught our eye as we drove on Wolfgangseestrasse (Lake Wolfgang Road) toward St. Gilgen and we simply had to stop for a closer look. We couldn’t pass up such an inviting and beautiful view, so we visited a nearby grocery store (Billa) to stock up on some picnic foods. 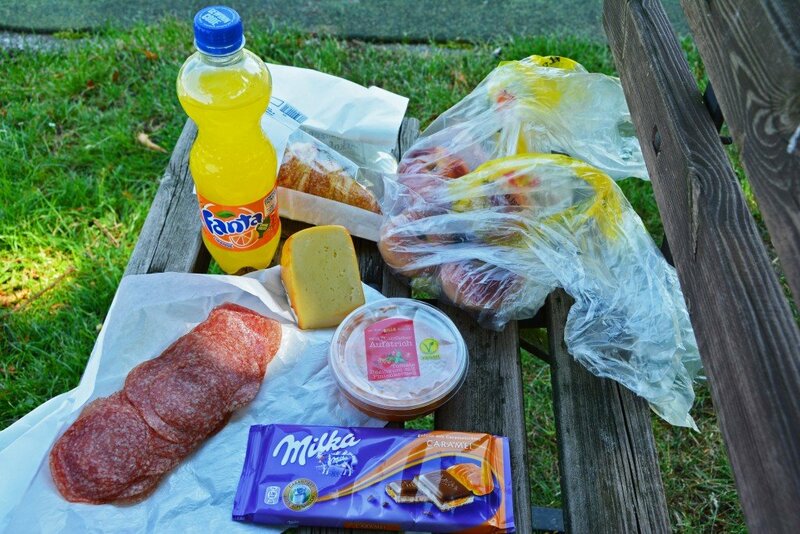 Meat, cheese, fruit, a croissant, and a sundried tomato dip were a wonderful accompaniment to the surrounding views! Of course I simply cannot make a visit to Europe without enjoying a Fanta and some Milka! 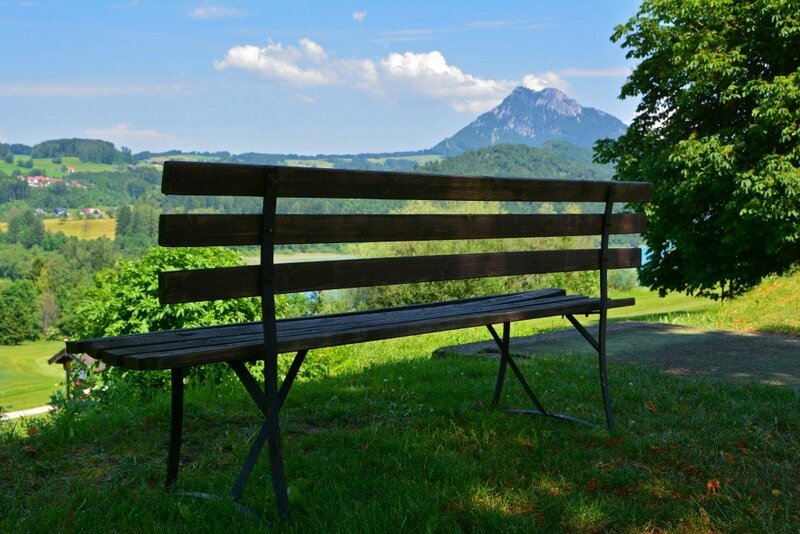 The bench we found was behind the Sheraton Fuschlsee near the golf club. It was the perfect picnic spot under a tree! Following our impromptu lunch, we were determined to find our way to the water’s edge! 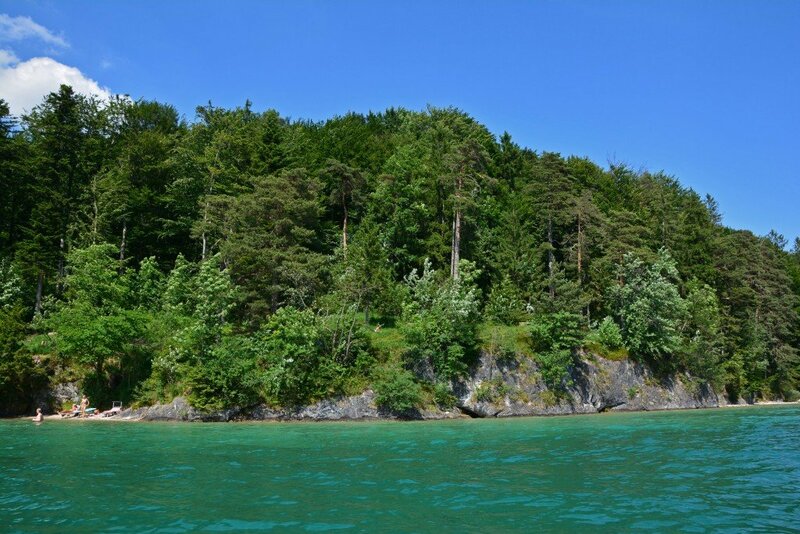 Yes, this is the actual color of the lake water… absolutely gorgeous! Since we just ate lunch, we weren’t hungry, but desperately wanted to get close to the water. We wandered around until we stumbled on a hotel with an open deck patio/bar (Landhotel Schutzenhof). The only way to enjoy the deck without being a guest of the hotel was to order a drink from the outside bar. 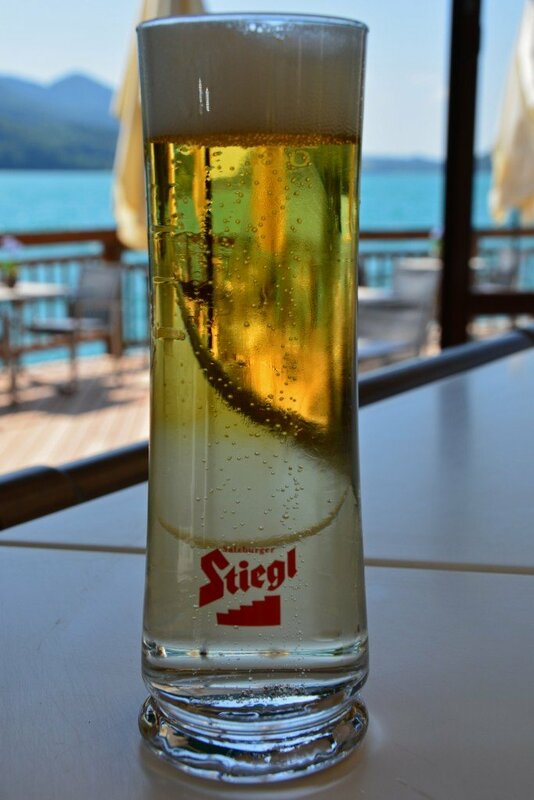 Sam ordered the local beer, Stiegl, and I ordered a radler (Stiegl mixed with Sprite; pictured below). Both were refreshing and a great excuse for us to sit and enjoy the beautiful view! After finishing our drinks, we still didn’t want to leave! 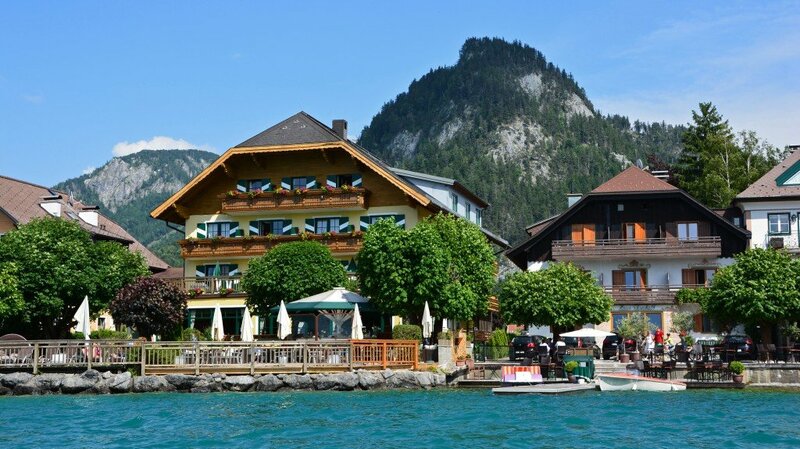 Next door to Landhotel Schutzenhof was Pension Elizabeth and just behind that was a bright red boat tied to a dock. There was a man sitting in a chair near the dock so we inquired about renting the boat. Less than 2 minutes later, we were on the water! 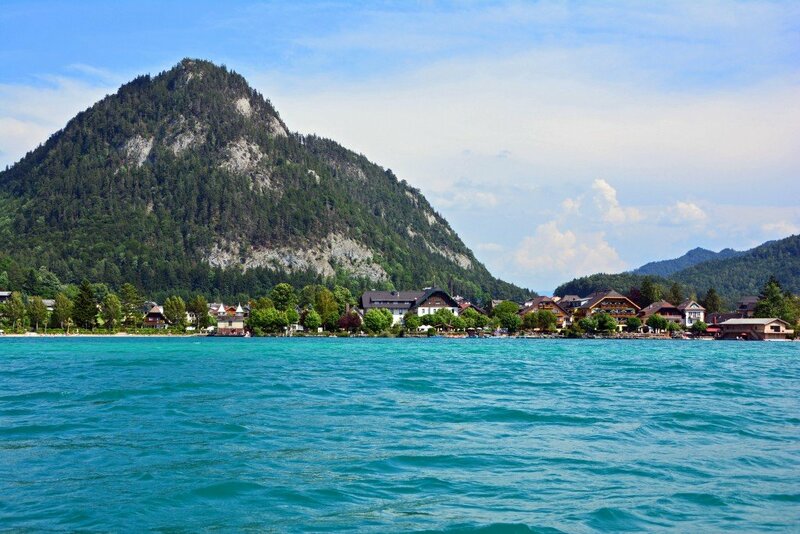 No insurance forms to fill out, no life jackets to wear, just pure bliss, peace, and solitude on the turquoise waters of Lake Fuschl! The man told us it would be 10 Euros for an hour on the water, showed us how to operate the electric boat: power on, forward, reverse… and we were off! 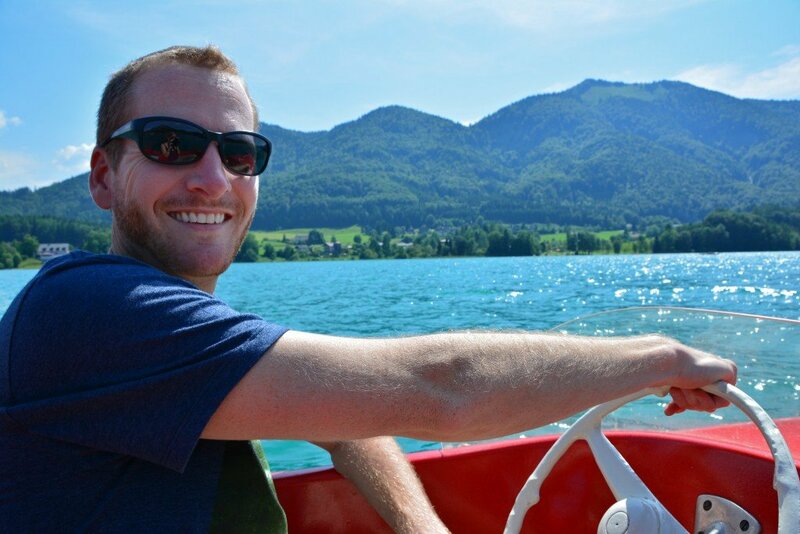 Just an hour or two before, we were on our way to St Gilgen (still just 7 minutes farther down the road) and now here we are in a boat on a gorgeous lake on the most beautiful day in Austria. It was absolute perfection! Even though the lake itself isn’t that big, we didn’t have enough time to see it all. We could have kept the boat out longer, but since it was a surprise find, we weren’t exactly prepared. No sunblock, no hats, and my sunglasses had broken the day before, so we didn’t want to stay on the water too long. We cruised along the shoreline and turned around at about the halfway point to head back in. Probably the best 10 Euros we’ve ever spent! 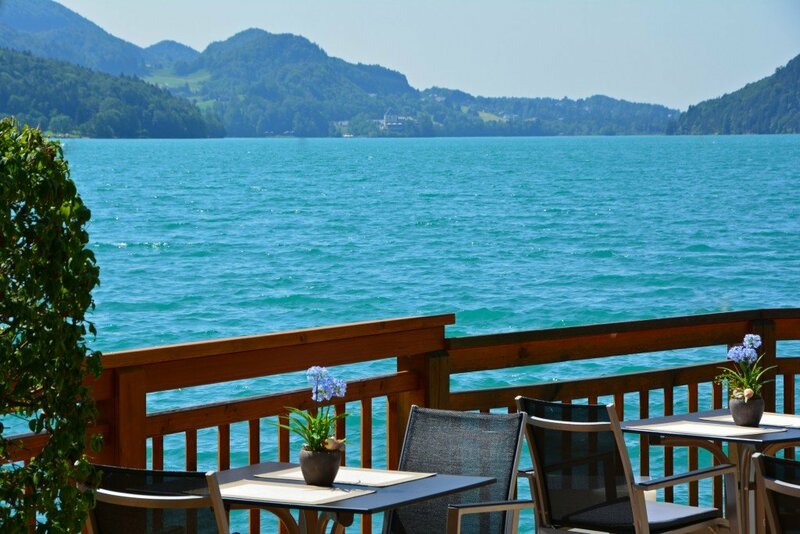 Fuschl am See is located less than a 30 minute drive from Salzburg, so if you’re in the area we strongly recommend a side-trip, especially in the summer months! 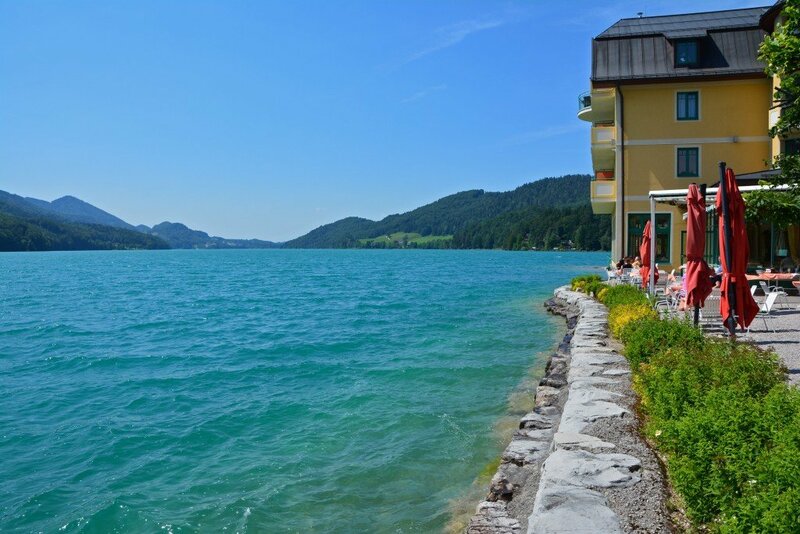 Besides the lake, there are a few cute shops and restaurants in this serene Austrian town. 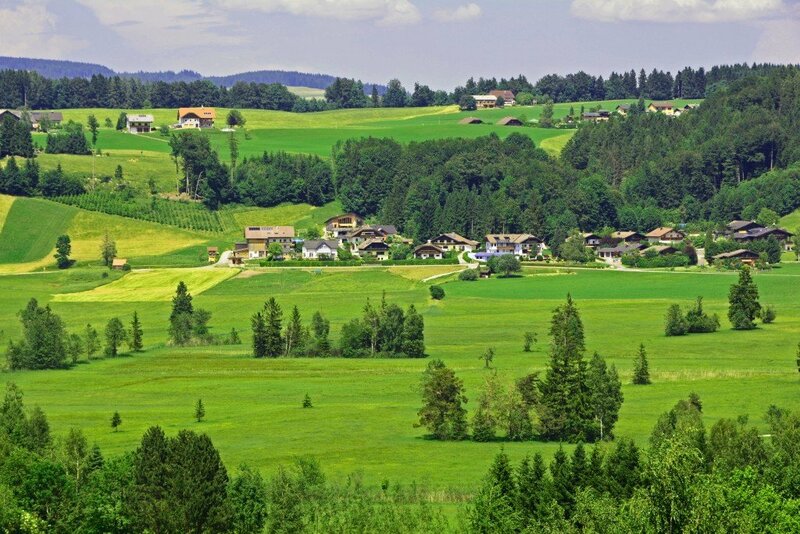 The countryside in Austria is just the prettiest! I’m always amazed that these mountains and lakes are really real as they look like painted with these colors! 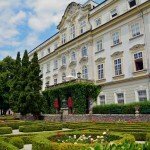 I heard somewhere about Fuschl but never seen how pretty it is! Honest to goodness, I had never seen water that color before in my life. It was absolutely stunning!! 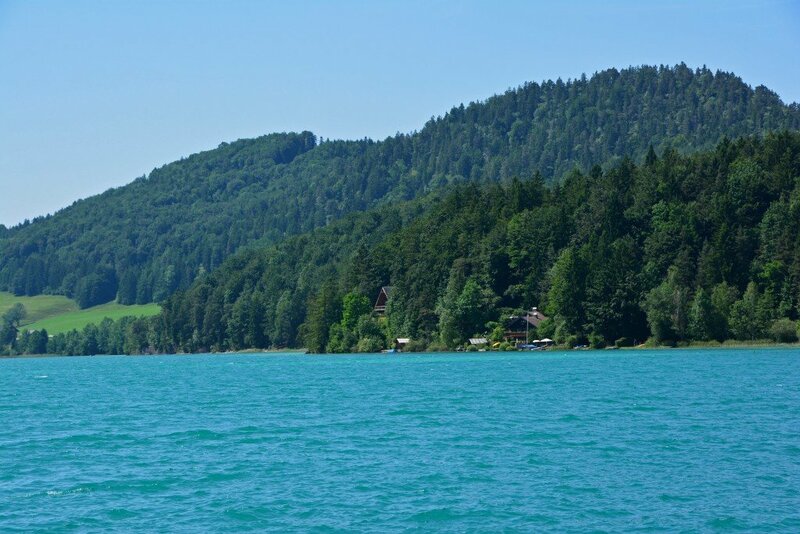 I was in Fuschl very briefly last summer and I, too, was amazed at the color of the water. It’s seriously one of the most beautiful places I’ve been. So beautiful! And such a wonderful, unexpected find! Now, my goal is to let others know about it! 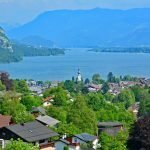 A lot of people visit Salzburg, but I wonder how many know about this beautiful town and lake, located just a 30-minute drive (or bus ride) away! I love Milka! They sell it here in the States, but I only really eat it when we’re overseas… makes it more special! 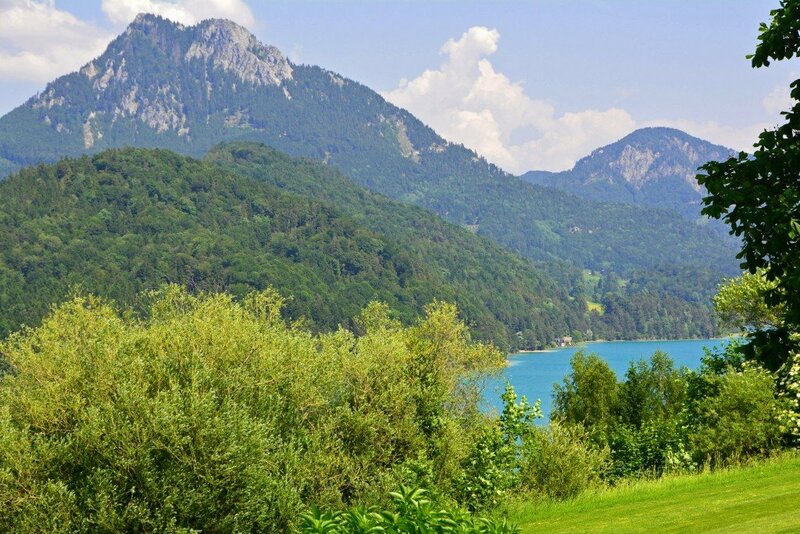 And yes, Austria is glorious! 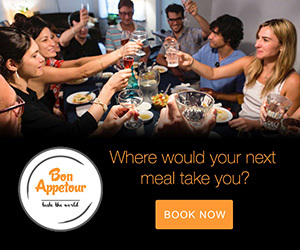 We can’t wait to go back and discover more! 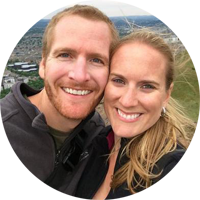 We LOVE renting cars in other countries! Best way to really explore and find ‘hidden’ gems such as this! That is too funny! 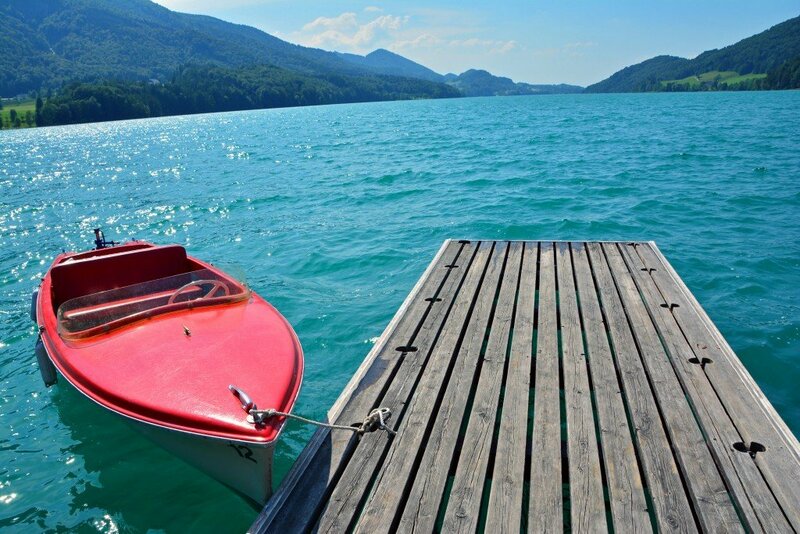 That was our exact thought when we first saw the lake… “How do we get out on that water? !” Who knew this would be the best 10 euros we’ve ever spent!